After nearly 15 years in the Texas House, state Rep. Allan Ritter, R-Nederland, announced his retirement on Friday. "In 1998 voters took a chance on me and together we have witnessed some history and worked to help shape a positive and productive future for Texas," Ritter said in a statement. "My constituents have always been generous with their support and in true southeast Texas fashion, unapologetic in their critiques of my legislative actions. I needed both and will always cherish both." As the chairman of the Natural Resources committee, Ritter, the president of Ritter Lumber, successfully pushed for legislation to shore up the state's water supply by establishing the State Water Implementation Fund in the 83rd legislative session. Texas voters will decide in the next election whether to approve a constitutional amendment that would allow the state to use $2 billion from the state's Rainy Day Fund to finance water infrastructure plans across the state. Ritter is also a member of the House Ways and Means Committee. He plans to serve out the remainder of his term, which ends Dec. 31, 2014. 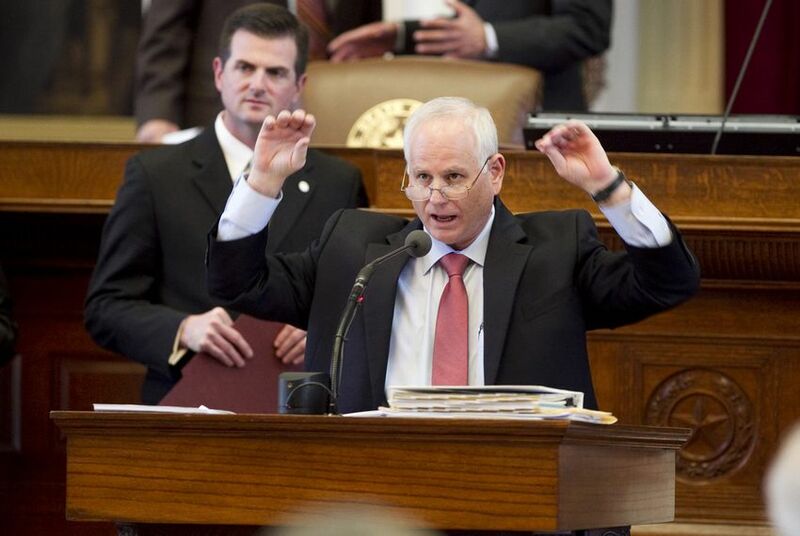 Ritter's announcement comes on the heels of other longtime House members' decisions not to run again, including Appropriations Chairman Jim Pitts, R-Waxahachie, and Rep. Bill Callegari, R-Katy and the chairman of the Pensions Committee and House Research Organization. State Sen. Tommy Williams, R-The Woodlands, whose district includes Ritter's district, also recently announced his retirement from the Legislature. There was no indication on Friday that Ritter had plans to run for Williams' seat. Ritter was elected "Freshman of the Year" in 1999 in by his House colleagues and was recognized in 2003 as "Legislator of the Year" by the Combined Law Enforcement Association of Texas. He has received the National State Legislator of the Year Award from the National Home Builders Association and has also been recognized by the Texas Association of Professional Educators and the Texas Classroom Teachers Association.